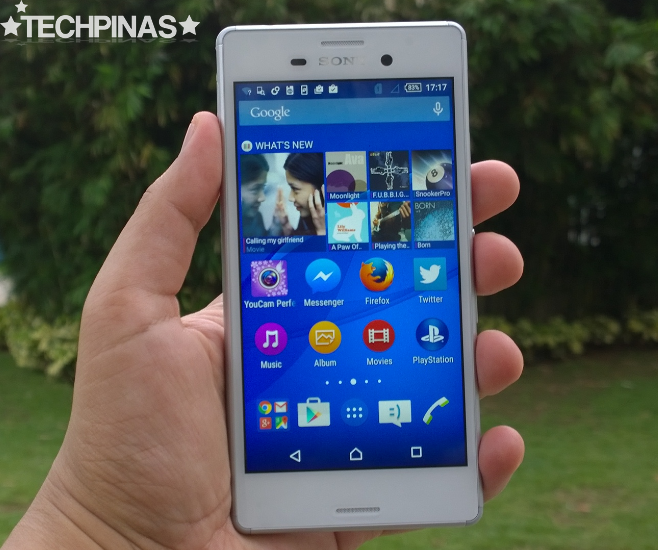 Donning an official suggested retail price of Php 14,490, Sony Xperia M4 Aqua finds itself in the company of great competitors in the midrange price echelon -- all sporting attractive designs, good imaging capabilities, and main selling points that are you unique to specific brands. 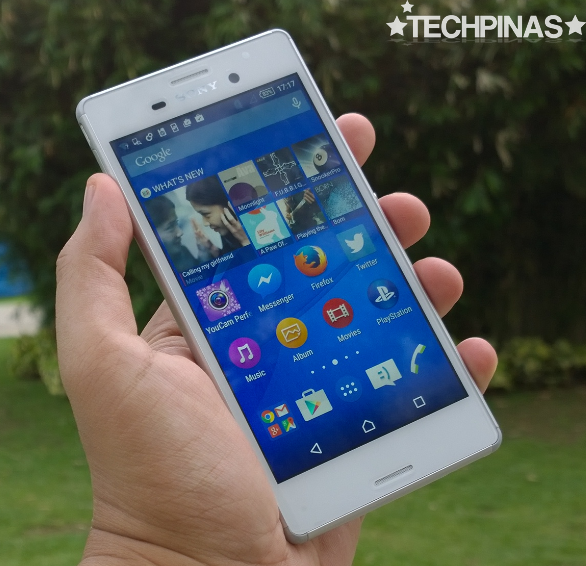 Sony Mobile has enjoyed great success in the Php 14,000 to Php 18,000 price bracket over the past few years -- thanks to well-received C-Series and M-Series Xperia handsets. But it is perhaps this year - more than ever - that Sony has to really reassert its dominance amidst the many steadily rising brands that are doing their best to get the attention of consumers. 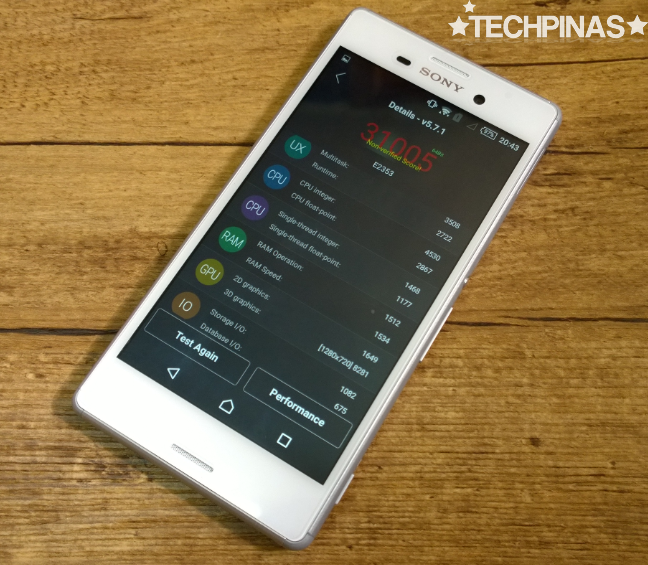 In this post, I will share with you five reasons why I think the Sony Xperia M4 Aqua midrange powerhouse is more than capable of giving all of its rivals a good run for the money and why it's worthy of your consideration as well as of your hard-earned cash. And of course, I'll also dish out some points for improvement that Sony might want to look into in crafting future mid-level Xperia models. There are many things that I admire about the Japanese -- and one of which is their knack for creating beautiful things with well-balanced design. 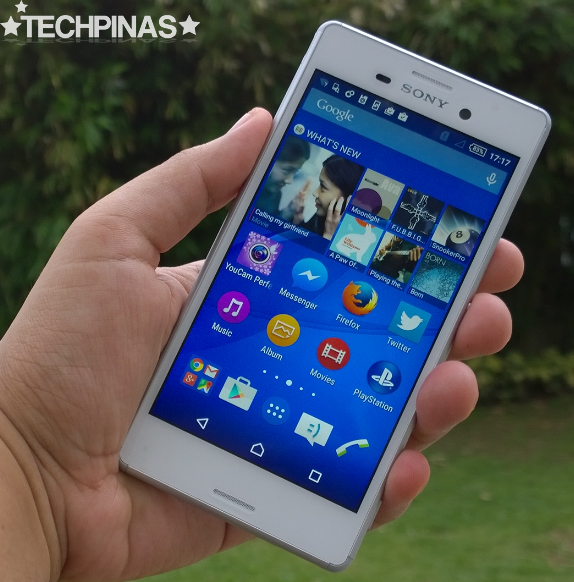 Sony Xperia M4 Aqua just like its predecessors in the M-Line and all the models in the flagship Z-Series are a true testament to that. For me, this phone's light-weight glass sandwich build - reminiscent of the more expensive Sony Xperia Z3 - puts it head and shoulders above the competition in terms of looks. Sony calls this 'OmniBalance Design Language' with every part complementing the other, resulting in an inspiring construction that looks great from every angle. Notice the well-balanced proportions of the front bezels framing the phone's 5-inch 720 x 1280 pixels HD IPS display panel. 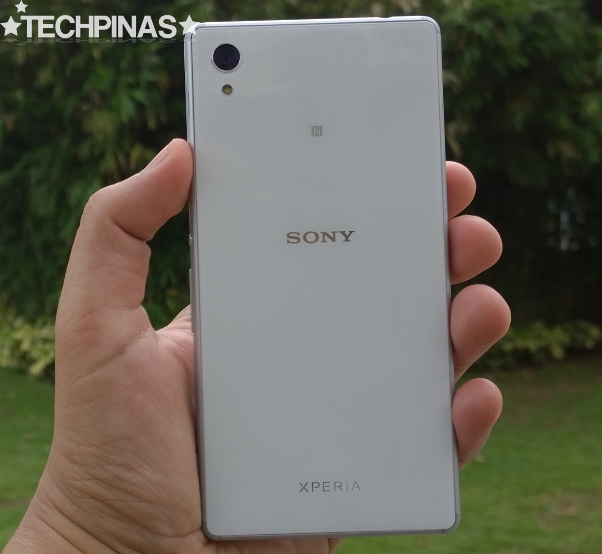 I wish that Sony would consider using real metal in crafting the frame of follow-up models instead of painted polycarbonate like that's on the Xperia M4 Aqua. 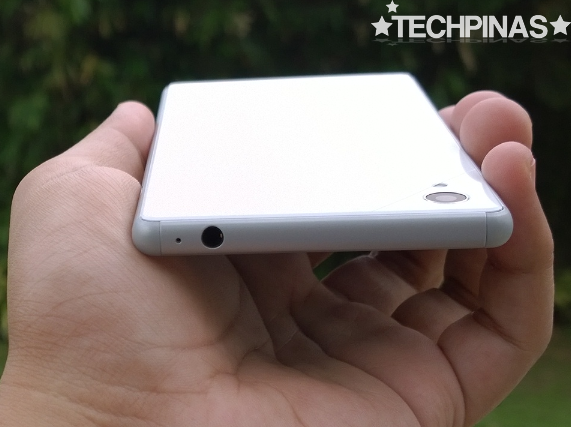 After all, Sony's rivals are now using aluminum and magnesium alloy on their current midrange releases. But what's more amazing is that this handset is also IP65 and IP68 certified, which means that it is protected from entry of dust as well as water ingress when submerged in liquid for 30 minutes, up to a meter deep. I don't really recommend that you use the smartphone underwater, though. Rather, you should see this certification as Sony's way of making sure that the device is protected against accidental splashes. For years now, Sony - as a respected industry leader when it comes to cameras - has been supplying the optics of many smartphones by other brands. So it's to be expected that the Japanese company would give its own handsets, at least, above average imaging capabilities. Now, check out this sample indoor shot - featuring my friends Boom and Jen - taken inside a cafe using the camera's single LED flash to compensate for not enough natural light. 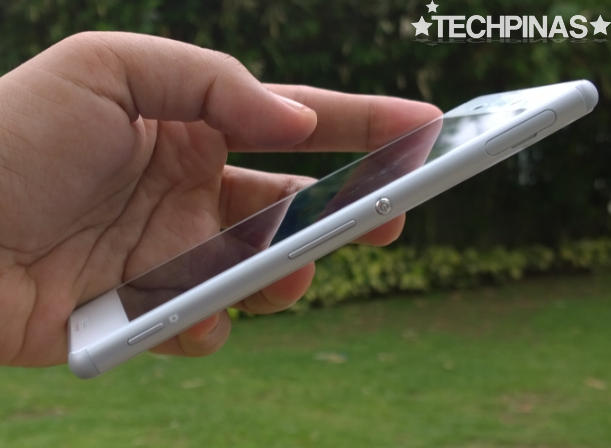 Sony Xperia M4 Aqua's back-illuminated Exmor RS sensor gets the job done; Making sure that details would still appear crisp and clear despite little ambient light. Colors could be more pronounced, though. But it's not something that can't be fixed with filters or a good photo-editing app. "Wow! 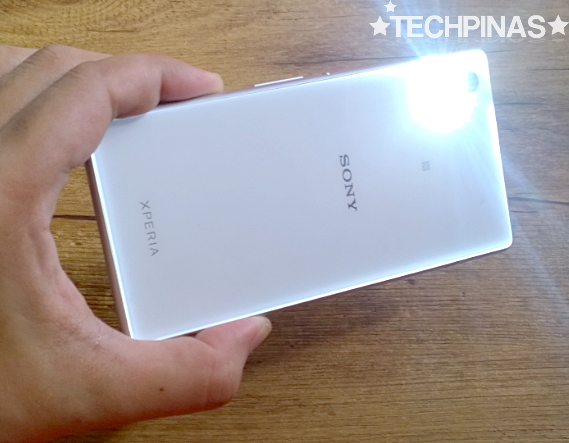 The sides of the back panel light up too when you use flash!" Boom told me after our photo was taken. I also think it's quite cool. Just like all other midrange and high-end Xperia phones, the M4 Aqua features multiple pre-installed shooting modes. 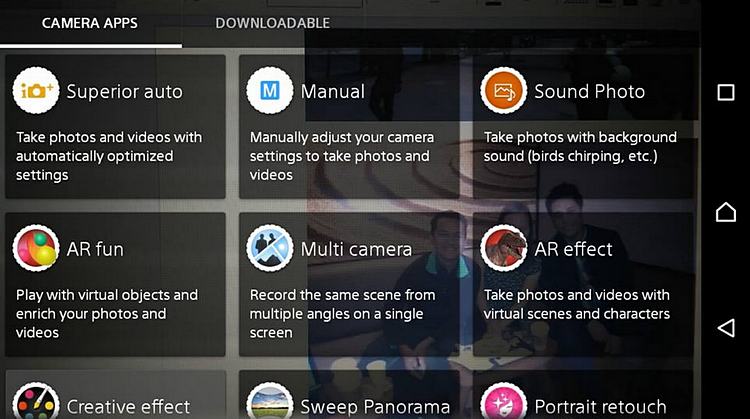 There's Manual allowing you to tweak White Balance settings and choose Scenes depending on your requirement. Multi-Camera, on the other hand, lets you connect to supported devices via Sony Viewfinder to capture a subject from multiple angles. 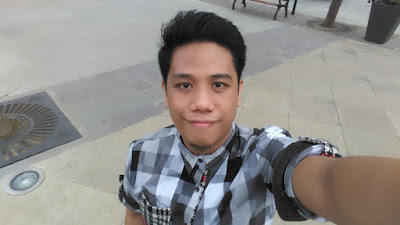 And there are more standard ones like Sweep Panorama, Superior Auto, and Portrait Retouch - for instant selfie enhancements, among others. Above, I have two sample selfies taken using the device's 5 MegaPixel front facing camera with wide-angle lens. I find that using a third party application like Youcam Perfect instead of the stock app greatly improves the quality of resulting shots. I know that Sony Xperia C4 is the selfie-centric handset of the company this year. But I think it would have been nice if Sony had likewise given the M4 Aqua a BSI front-facing shooter just for enhanced low-light performance -- even if it lacks front-facing soft LED flash. 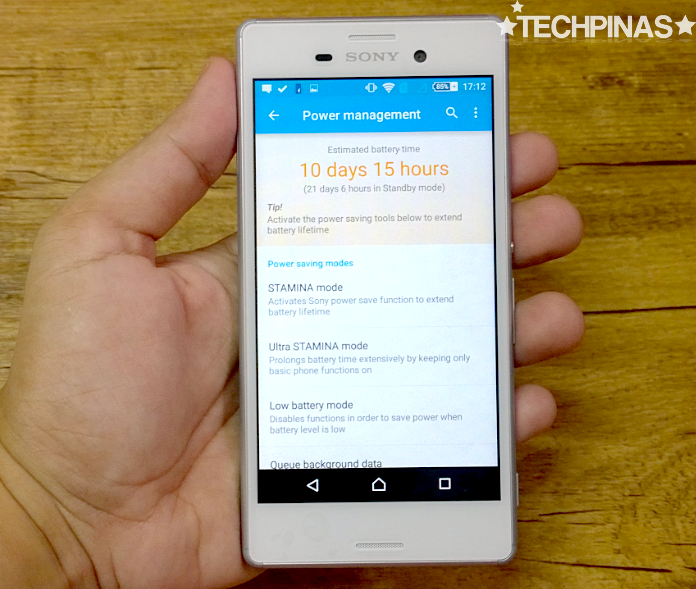 Sony Xperia M4 Aqua runs its Xperia-UI-flavored Android 5.0 Lollipop operating system with a 64-Bit Octa Core Qualcomm MSM8939 Snapdragon 615 chipset incorportating four ARM Cortex A53 cores clocked at 1.5 GHz, four ARM Cortex-A57 CPUs clocked at 1 GHz and a 550 MHz Adreno 405 GPU. And for multitasking, it has 2GB of RAM. This isn't particularly the most powerful SoC-RAM combo out there but it's good enough (and pretty standard) for an Android smartphone in this price bracket. I'm able to play 3D games like Marvel Contest of Champions and Marvel Future Fight on the handset without annoying lags or stuttering. If the M4 Aqua has one internal component that needs a boost, it's definitely the mere 8GB ROM -- and of which, only 1.5 GB is available to the user for file storage. You can argue that the phone has a microSD card memory expansion slot -- but I think it would be nice if Sony could augment the minimum internal storage of future M-Series releases to at least 16GB. The device got an Antutu Benchmark Score of 31,005 when I ran the test on the phone for this quick review. Not the highest mark you'll get from a 2015 midrange release but the phone's real life performance is right up there with the best of them. 'Android smartphone uptime' is an area that Sony has mastered through the years. From the get go, short battery life has been one of the main weak points of Android handsets and the Japanese company - within the past three or so years - has gone to great lengths to address that. 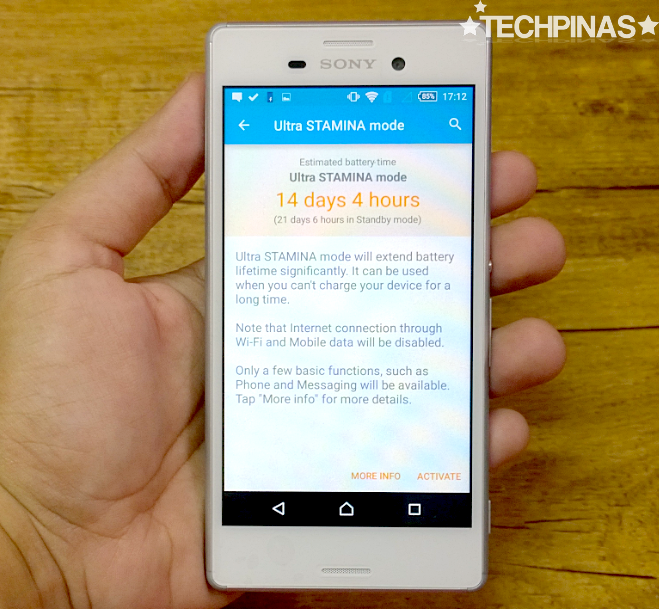 Sony Xperia M4 Aqua greatly benefits not only from having a big battery pack but also from software optimizations by Sony that help guarantee around two days of uptime - on a full charge - with regular use. That, I can also guarantee. Talk about not having to plug it in come lunch time in your office just to make sure it won't go out on your on your way home in the evening. These estimates are heavily bloated. But hey, I'm sure Sony would have never made them that high if the company wasn't confident about the battery life of this model. It's all good for me. 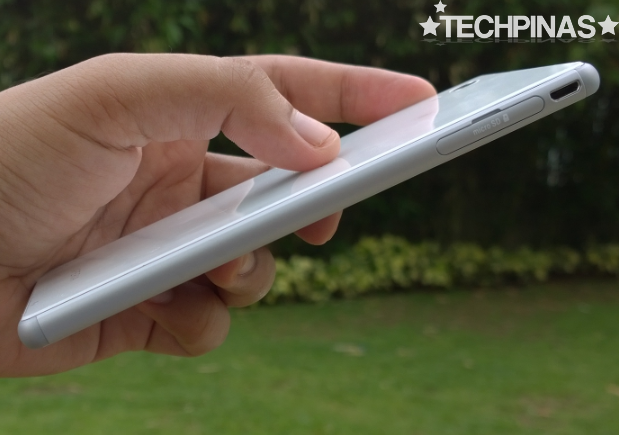 But if you're not yet satisfied with that, you can conserve your phone's battery further by tweaking its Power Management settings. If you're going out of town and you're not sure how long you'll be on the road, and you just need your phone to stay on for an extended period so you can make calls or send text messages, you can activate the M4 Aqua's Ultra Stamina Mode. This should give your phone at least a week of uptime. If you ask me, I think Sony's Xperia user experience is one of the sleekest and most good-looking skins or interfaces for Android that's out there. And it's quite light-weight too. In fact, it's look is still very reminiscent of vanilla Android UI. Other users complain about the many pre-installed applications on Xperia smartphones but, for me, they are what makes Sony's handsets special. 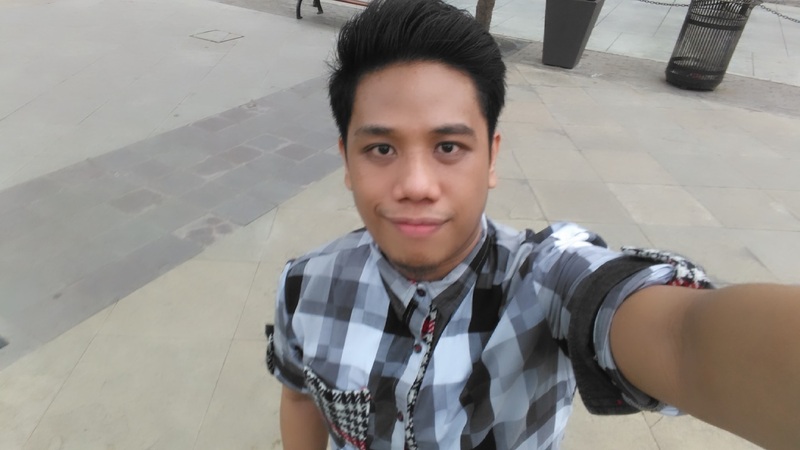 Apps like Xperia Care, Xperia Lounge, 'What's New' and PlayStation are meant not just to pamper users with content and easily-accessible after-sales support but also to make their whole mobile experience feel more exclusive. 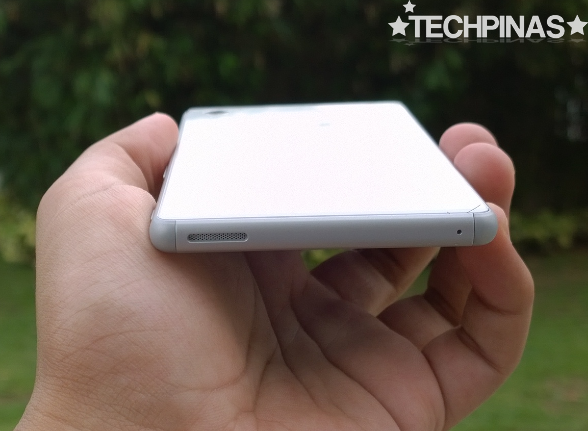 With or without headphones, Sony Xperia M4 Aqua - I find - delivers great audio output. Actually, when it comes to quality of music playback, I think it's almost as good as what flagship-level Z-series models will give you. The phone's speaker isn't the loudest out there but it produces brilliant, clear sound from bass notes going up the scale; Heavy drum beats on dance tracks sound full and resounding. 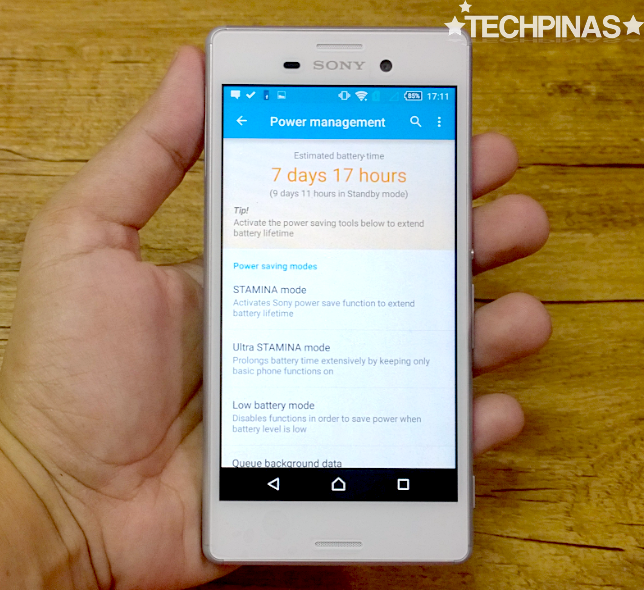 All the cool features I noted above make Sony Xperia M4 Aqua a great purchase for Php 14,490. 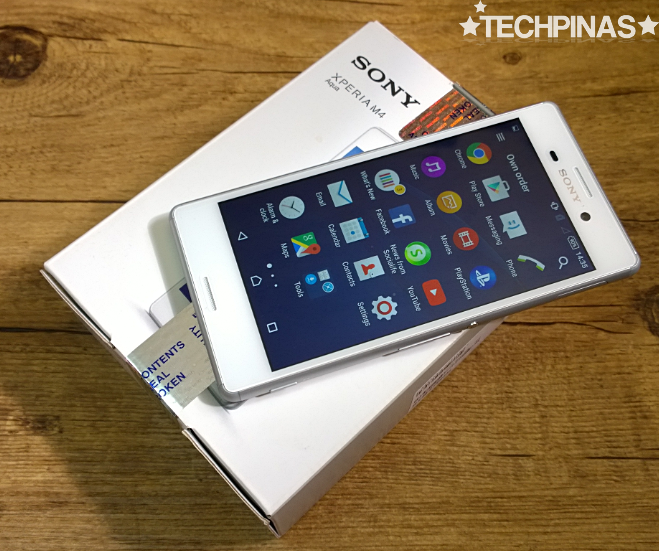 Sure, in terms of technical specifications, it's not the best handset in its price category -- but when you consider its attractive design, amazing set of value-added features, and the fact that it's created by a respected and legendary electronics company, it's impossible to count Sony Xperia M4 Aqua out and not think of it as a top-level contender. You'd be proud to own this smartphone and to flaunt it in public; I sure am. I give it 9.5 out of 10 TP Stars.